Join the movement! Click the button below to receive more information about how you, your organization, or your community can participate in Arts, Culture & Creativity Month. Don’t forget to click the submit button! Our team will get back to you with more information. Registration for April 23 legislative visits is now closed but you can still come to the morning portion of the festivities! 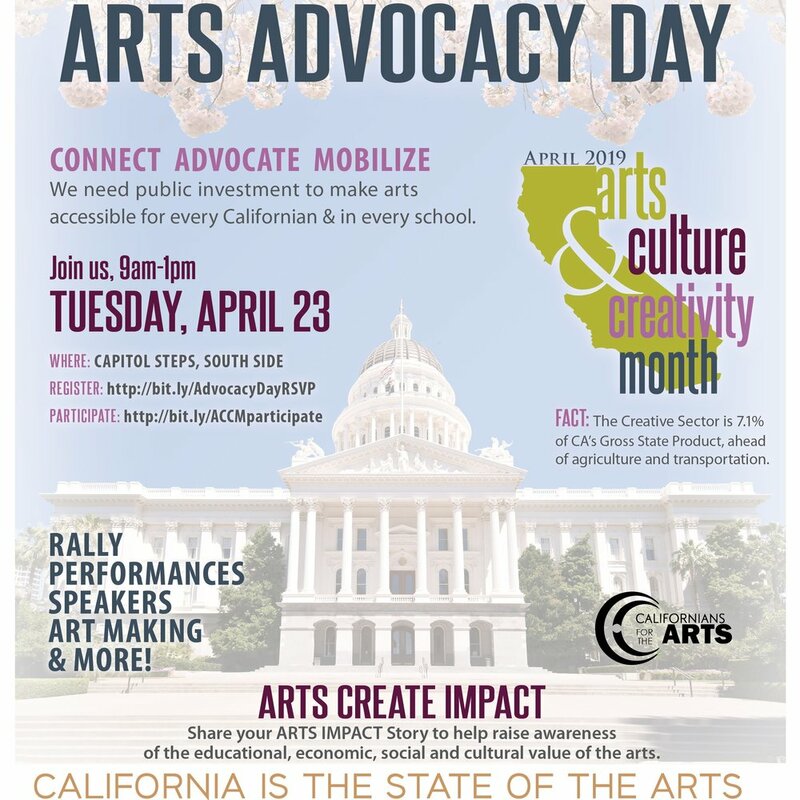 Join us for the Arts Advocacy Day Rally at the Capitol on the South Side of the lawn from 9am-12pm. Please register to attend. 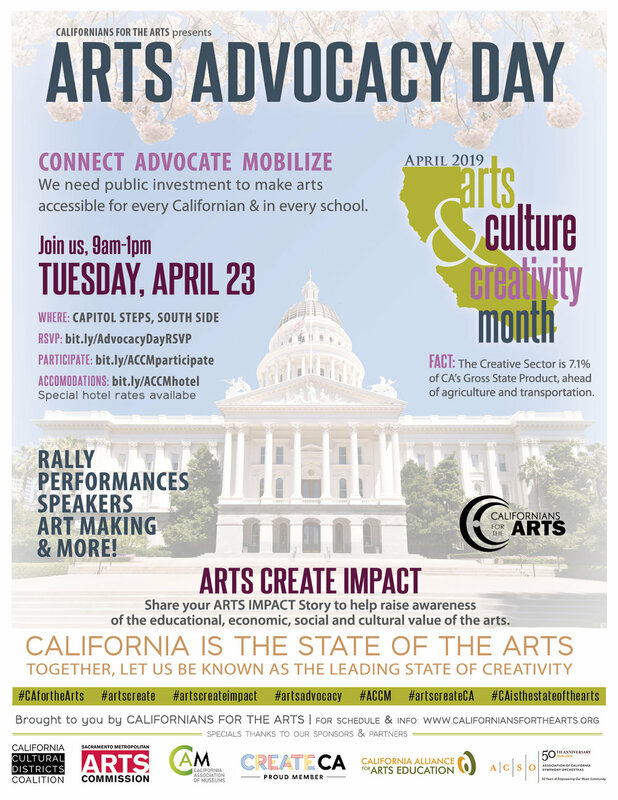 Email accm@californiansforthearts.org for more information. Help make California the leading state of creativity. From Title Sponsor to sliding scale sponsorship levels for artists and non-profits, everyone is invited to participate.